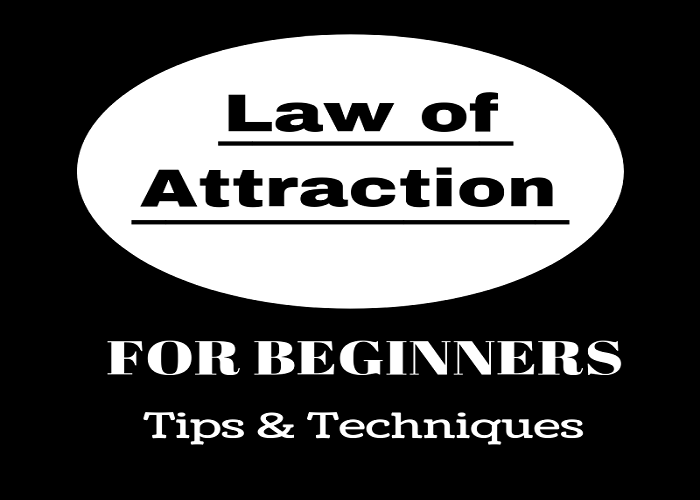 What is the law of attraction and how does the law of attraction work? At its core is a straightforward fact: every thought will turn into something eventually. You are able to create your own circumstances in life because of what you attract to yourself. If you focus on negative energy, then this is the cloud under which you will live. A focus on positive energy, with specific goals that you want to achieve, will lead you down a path where you can take actions to achieve those goals. Whatever you think about the most is what will show up in your life. Your focus becomes your reality. Think about the law of attraction as if it were a television. You can choose from many different channels. If you want to watch a specific show, however, you must tune it to the correct channel at the proper time. What do you do if you don’t like the show you’re watching? You change the channel. This is what the law of attraction does with your focus. It allows you to recognize your lower vibes, then implement changes which help you to create higher vibes. What Are Vibes and Why Do They Matter? In the law of attraction, “vibes” are short for vibrations. Your points of focus create waves in the universe. These vibrations are different based on your perspectives and experiences. If you focus on positive things and achieve beneficial results, then you’re able to create higher vibrations. Most people are unable to create positive vibrations consistently. That happens because they focus on things they don’t want or are unable to make decisions about what they do want. Focusing on negative things or achieving negative results will create lower vibrations. If you are undecided or focus on what you don’t want, then this is the outcome that will be delivered. These vibrations are like a question. When they are created, it becomes what you’re asking to receive. If you put your attention toward abundance and ask for it, then that is what you’re hoping to attract in your life. What does this mean from a practical standpoint? Here is what most people do with their lives today: they create lists. They will list out everything that they feel is wrong with their life. Then they complain about these issues without any responsibility for the outcomes achieved. People take a passive approach to life. They blame others for the outcomes they achieve. You are always responsible for what is happening in life. You may not control the decisions of others, but you do control the choices that you make. You must accept full responsibility for yourself before positive changes can occur. Let’s say that there is something that you want in life. You don’t currently have it. By focusing your attention on it and asking for it, the vibrations you create will attract what you want. Seeking and asking, whether it is intended or not, creates a vibration. Through the law of attraction, what you’re seeking must come to you. That is why the combination must be to seek and ask. If you focus on what you desire, with your energy focused on the fact that you don’t have it, then the law of attraction will keep it from you. The vibrations you create are matched. Thinking about not having something will keep it away from you. Instead of thinking about what you don’t want, you must focus on what you do want instead. To change your focus using the law of attraction, you will want to follow these three steps. Decide what you want to experience. Spend time visualizing the manifestation of your decision. You have permission to dream. Think about the goals in life that you want to achieve. Don’t be afraid to dream big. Go to a favorite spot and allow yourself to be immersed in this dream you have. Let it feel like a reality. Many people will feel a physical and emotional change when they allow themselves to embrace their dreams. It might feel like a cold chill on your arms, legs, or back. Some people shiver and experience a whole body shake from it. You might feel the tension release from your muscles. The stress your mind is coping with may begin to fade away. Every experience is unique and healthy. Embrace this change. It is evidence that you are taking the first step toward the changes you want to make in your life. Whether you experience these changes or not, it is essential that you write down your goals and intentions. By writing them down, you are creating a contract with yourself. It is a layer of accountability that ensures personal responsibility for your choices is achieved. Then make time for this experience every day. Imagine what your life will be like when you achieve your goals. Picture what you are doing. See the places you are going. This is how you begin to create higher vibrations. This is where things get a little tricky. 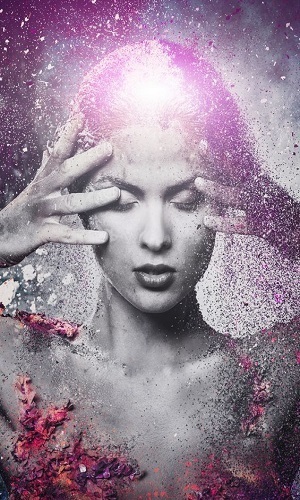 When you have a conscious thought, there is a vibration associated with it. If you focus on positive results, then you will begin to attract new opportunities for yourself. When you feel your new vibration and think more about specific outcomes, then results start to show up quickly. This happens because you’ve changed the signals that you’re offering to the universe. What you appreciate in life will begin to appreciate in value. That brings up an important question: how is it possible to focus on positive results? In the law of attraction, four steps are used to accomplish this goal. Imagine: You must imagine that your goals have already been achieved. Visualize yourself living in a thriving environment. What is it like to have accomplished your biggest dream? Let your imagination provide a picture of this with as much specificity as possible. Then allow yourself to enjoy living in that moment for as long as your schedule permits. Pretend: Continue to pretend that what you desire has become yours. Use your senses to touch it, feel it, and enjoy it. Visualize: Bring perfect results every time that you imagine your goals. The exact outcomes you’ve always wanted are what has happened to you. Live out your dream, still pushing forward with the perfect result. This visualization exercise will help you think about the outcomes you want with greater frequency. Take Action: Once you have experienced what it is like to accomplish your dream, it is time to turn your visualization into reality. Take the actions that are necessary to bring what you want into your life. This is how to use the law of attraction in order to make it work. You must follow through with each key area for the law of attraction to work positively. Many make it through the first three concepts here. When they reach their critical moment to take action, they step away from their dream. Someone might say that they want to be wealthy, then decide not to take a job offer because it makes them uncomfortable. You might have a dream of attending classes at a prestigious university, but you then decide not to enroll because of the costs involved. Some people dream about starting a family and then decide that they don’t feel like meeting new people. That is why thoughts AND actions are part of the law of attraction. Thinking sets the stage for your efforts. The steps you take reinforce the vibrations you produce. A failure to take action creates vibrations which attract more failure into your life. If you see an opportunity, take it. Focusing on the absence of what you have, even if you desire it, will not allow you to receive it. Having something and not having something are two different vibrations. The former option offers higher vibrations, while the latter provides lower ones. Have you ever gotten out of bed and instantly felt like you were going to have a bad day? The vibes you feel have the power to become self-fulfilling prophecies when your focus remains on the negative. If you think you’re going to have a bad day, then you will. This happens because you become hyper-sensitive to the negative energies which are around you. The laws of attraction bring you what your vibrations indicate you want. The reverse can also happen. If you think that you’re going to have a good day, then you become sensitive to the positive energies surrounding you. When your vibrations feel off, there are 5 methods that you can use to shift your perspective. These strategies will help you to achieve the outcomes you’re seeking. This is how to use the law of attraction. 1. Focus on your intentions every day. ​There are two good times to do this: in the morning as you get up, and in the evening, right before your bedtime routine. By focusing on your intentions at these critical moments, you are better able to remind yourself of your creation goals for each day. It is a chance to create a new you with your preferred results. 2. Read something that inspires you. ​Routines help us in many ways. They keep us on time and help us to take care of ourselves. You can also get into the habit of being in a negative vibe. Try to change your perspective. Read a book which inspires you. Try to learn something new every day. Take a new course. Find new information to put in your mind. 3. Listen to something positive. ​If reading isn’t something you find enjoyable, then listen to something that will inspire you. Have you ever noticed how a favorite song lifts your spirits? Try listening to an encouraging audio course. Incorporate positive affirmations into your morning, afternoon, or evening routine. If you know that it will raise your vibe, then give it a listen. 4. Spend time with Manifestors. ​People are like sponges. When you hang around with others, part of them rubs off on you. If you are with people who are always critical and filled with negative energy, then that will become your vibe too. Make conscious decisions to spend time with positive people instead. Look for people who will support and encourage you. Seek out the higher vibes. ​Your first instinct is usually the correct one. Allow your gut to direct your decision-making instead of your mind. This will lead you toward more inspired actions. Over time, you will find that the lower vibes will begin to fade away. Knowing how to shift your vibrations is an important skill to develop. Every person on this planet encounters a lousy day. Negative energies occur whenever there is a conscious thought about regret, mistakes, or failure. Mistakes are an opportunity for us to grow through learning. Failure is an opportunity to try something new. Regret is the most challenging thought of all. To let go of disappointment, you must be able to let go of the guilt and shame from past mistakes. Even if no one else forgives you, there is power in self-forgiveness. You can shift to positive vibes if you’re willing to offer yourself forgiveness. It all comes back to your intention. Decide what you want, then pursue it until you make it a reality. The law of attraction is powered by one simple thought: take your attention away from what you don’t want. You have the power to change your life in dramatic ways. What holds many people back from accomplishing this is the fact that they don’t really want to change. They like the idea of changing, but then they don’t want to put in the work that is needed to achieve success. Inspired actions happen when you make a conscious choice to follow your instincts. When you can make this choice, then you are able to create more opportunities for yourself. This leads to higher, stronger vibes which bring alignment to your place in this world. That alignment allows you to attract more of what you want in life. Even if you only have 2 extra minutes to dedicate to this process, then you can begin to change your life in dramatic ways. Then keep practicing whenever you can. 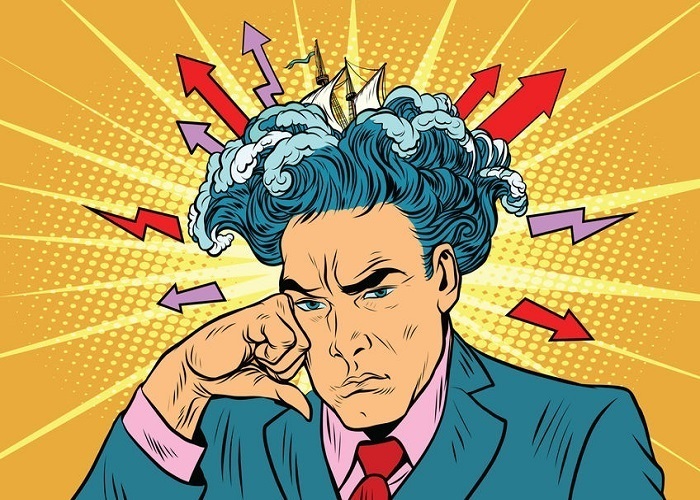 When you focus on a specific thought for an extended time period, it becomes a stronger vibration. Stronger vibrations create more opportunities for the law of attraction to bring results to you. Stronger vibrations create stronger emotions. You will feel happier and stronger as positive energy surrounds you. Now is the time to get started. Make each tomorrow a little better than the day before. I am interested in psychology and philosophy. I am also an enthusiast of meditation and personal development. Thank you for visiting my blog. I hope you'll find something interesting here. Why Is Personal Development Important and What Are Its Benefits?